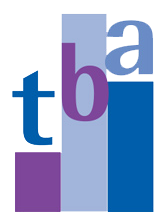 As well as offering a full range of accountancy and tax planning services turpin barker armstrong also has a Corporate Recovery and Insolvency department as well as an Independent Financial Advisors department. Our insolvency department are licensed Insolvency Practitioners who provide expert insolvency advice to both directors and individuals. Highly respected by our peers, we regularly receive referrals from accountants, solicitors and bankers. We are offer the full range of corporate and personal insolvency procedures. Visit our website here for more information on the insolvency advice we provide. Our financial services department offers a professional financial planning service to both private and business clients. Visit our website here for more information on the different financial planning areas we provide advice on.